Gardening has long been one of the top-rated hobbies for people in the UK, and many Britons choose to spend their leisure time tending to their pots, plants and lawns. In keeping with these green-fingered tendencies, Fred. 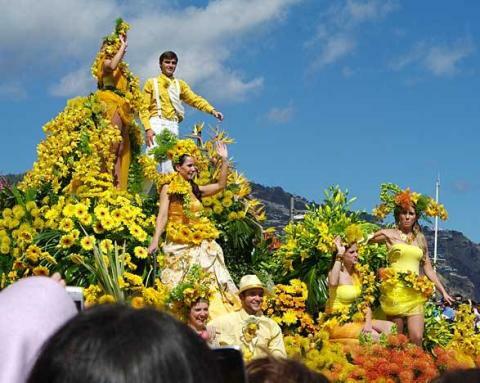 Olsen Cruise Lines is offering guests the chance to visit Funchal, Madeira during its spectacular annual ‘Flower Festival’, running from 16th to 22nd April 2015, on board Boudicca’s 14-night D1508 ‘Floral Canaries’ cruise, which departs from Dover on 14th April 2015. The ‘Flower Festival’ is held every Spring, when the flowers are all at their best, and is one of the most popular tourist attractions in Madeira, filling Funchal with a riot of scents and colours. This enchanting and beautiful Festival showcases the island’s most wonderful gardens and flower displays, as well as playing host to a parade – with vibrant costumes and traditional dance – a flower market and other activities, including the making of flower carpets in the streets, the awarding of prizes for the best-decorated shop window, classical music concerts and a number of variety shows. In addition, if guests book by 31st March 2015, they can make the most of Fred. Olsen’s free ‘Tips & Tipples’* offer, wherebyFred. Olsen is offering a free upgrade to its ‘all-inclusive’ package on selected drinks (normally worth £10 per person, per night) and all gratuities paid for. Guests will arrive first in Leixoes, in Portugal, for tours to nearby Oporto. Here, they can visit one of the many Port cellars or take a leisurely stroll along the famous River Douro. The cruise then takes guests to Funchal, in Madeira, on 19th April 2015, where the ship will stay overnight. There will be plenty of time for guests to explore this exquisite ‘Garden Island’ and soak up all that its celebrated ‘Flower Festival’ has to offer – glorious sunshine, the finest flower displays and an abundance of local traditions, festivities and celebrations. Boudicca will then cruise onto Santa Cruz in Tenerife, where guests can take a tour to the Pyramids of Guimar and the Secret Garden, which is home to an intriguing selection of poisonous plants. Next stop is Arrecife, in Lanzarote, where guests can experience a camel ride through the rocks of Fire Mountain in the Timanfaya National Park, or visit the beautiful saltwater lagoon of Jameos del Agua Cave and Cesar Monique’s unique cactus garden. Guests will then have a day to explore Cádiz, in Spain. The scenic waterfront offers guests a tempting choice of bars and cafés, and is a popular destination for those wanting to unwind with a glass of Sherry from Jerez de la Frontera. Prices for this cruise start from £899 per person (with limited availability), based on two adults sharing a twin-bedded, Inside cabin, and include accommodation, all meals and entertainment on board and port dues. Fred. Olsen is pleased to have been awarded the ‘Gold Trusted Merchant’ status by independent review site Feefo in 2015, for the second year in a row. This accreditation is based on genuine customer feedback and, to date, Fred. Olsen has received over 10,500 reviews, with 95% of these being in the ‘Good’ or ‘Excellent’ categories. *Only available on selected cruises, must be booked by 31st March 2015, see the website www.fredolsencruises.com for full Terms and Conditions. For further information on Fred. 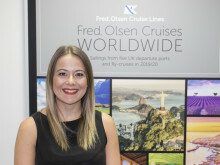 Olsen Cruise Lines, visit the website at www.fredolsencruises.com Book online, call Reservations on 0800 0355 242 (Monday to Friday, 8am to 8pm; Saturday, 9am to 5pm; Sunday, 10am to 4pm), or visit an ABTA travel agent.